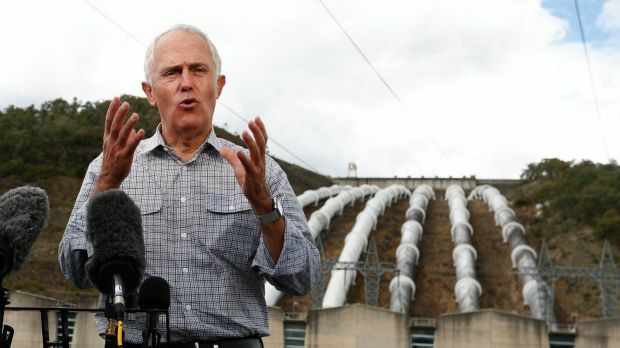 Pumped hydro Prophet or old-fashioned Charlatan? Touted by Turnbull and his hapless sidekick, Josh Frydenberg as the Nation’s mega-battery, the heavily-hyped Snowy 2.0 pumped hydro scheme (shelved in the 1970s because it was uneconomic then) has been heralded as the saviour for the Australian wind industry. Never mind squandering 1/4 to 1/3 of the electricity originally generated; never mind that with the inclusion of the $85 per MWh REC the cost of the wind power involved exceeds $110 per MWh; never mind that the owners of Snowy 2.0 will charge a further $150-300 per MWh to re-deliver power to the grid; never mind that, in reality, the power used to pump the water uphill will largely come from coal-fired power plants, delivered overnight when it’s cheapest. Last week, red-headed political fire-brand, Pauline Hanson tackled the PM and the RE rent-seekers that utterly depend on his largesse with massive piles of our money. Hanson ripped into the lunacy of building a massive storage and energy release system just to compensate for Australia’s ludicrous obsession with wholly weather-dependent wind power. The point of Pauline’s piece is pretty simple: why squander $10 billion on a system that can never deliver power in its own right, when for the same money Australia could have 4 brand-new High-Efficiency Low-Emissions (HELE) coal-fired plants delivering 4,000 MW of cheap and reliable power, all by themselves, and for generations to come? Australia has some of the world’s largest coal and natural gas ­reserves and yet we pay double the price for electricity that citizens face in comparable countries. I’ve watched in horror as our electricity prices have risen 60 per cent in the past 10 years. But the government’s Snowy 2.0 proposal is not the answer to electricity prices — it sets in concrete manipulation of the electricity pricing market. In 1949, the government began to reroute the Snowy, ­Eucumbene and Murrumbidgee Rivers to create the Snowy Mountain Scheme, now owned by Snowy Hydro Limited. Hydro-electricity is generated when water is gravity fed through turbines from an elevated reservoir. It sounds simple enough but in the case of the Snowy 2.0 proposal, water is pumped to that reservoir using coal-fired electricity. Even more bizarrely, the scheme uses 20 per cent more electricity than it generates. Whatever the business case for the scheme might be — that’s a government secret so far — it can only work by using electricity at off-peak prices. In other words, Snowy 2.0 will work only by permanently manipulating the electricity market. The government will seek Senate approval [Appropriation Bill (No. 6) 2017-18)] to spend $6 billion to purchase Snowy Hydro Ltd shares from the NSW and Victorian governments by June 29. Yet this change in share ownership generates no more electricity, nor does it lower the price of electricity for consumers. The $6bn share purchase is a prelude to a further investment of about $4.5bn in the project. There is no provision in the budget for the $4.5bn because the government expects to borrow the money through Snowy Hydro Ltd. In short, the government will seek to spend $6bn of taxpayer money, and borrow a further $4.5bn off the balance sheet without adding any new electricity to the market or lowering its price. Without the business case for the $10.5bn Snowy 2.0, I will not support any related legislation. The secrecy surrounding the project suggests the business case is weak That worries me. What this country needs is ­relief from crippling prices, not a massive investment based on gaming the electricity pricing market. Nothing in the proposal does anything to lower electricity prices. In fact, spending that $10.5bn increases the cost of electricity because we give up the opportunity to spend that money on a new coal-fired power station that would add much needed baseload power in the face of ageing coal-fired power stations. Three quarters of our coal-fired power stations are operating beyond their original design life, but there are no plans to build a new coal-fired power station even though they supply 77 per cent of electricity in the eastern states. It makes no sense to me to spend $10.5bn on increasing water storage in the Snowy Mountains when what we need is a new source of baseload power. Gas could provide us with that much-needed baseload power and it’s already used one day in four to generate electricity. But gas is in short supply even though we are expected to be the world’s largest exporter of gas next year. Again, it makes no sense to me to see us export all our gas when we need it ourselves. A domestic gas reserve policy, together with a new gas pipeline from the west coast to the east, could fix the shortage, but the government and Labor are too scared of multinationals to act in our best interests. It’s self-evident the ­National Electricity Market has failed us and that the government’s signature policy, the ­National Energy Guarantee, will not reduce electricity prices. Massive investment in Snowy 2.0 without a business case is madness. I support a mix of energy sources including intermittent sources such as solar, wind and water, but only when it makes sense to do so. We have an immediate need for new baseload power and there is no viable alternative to a coal-fired power station. 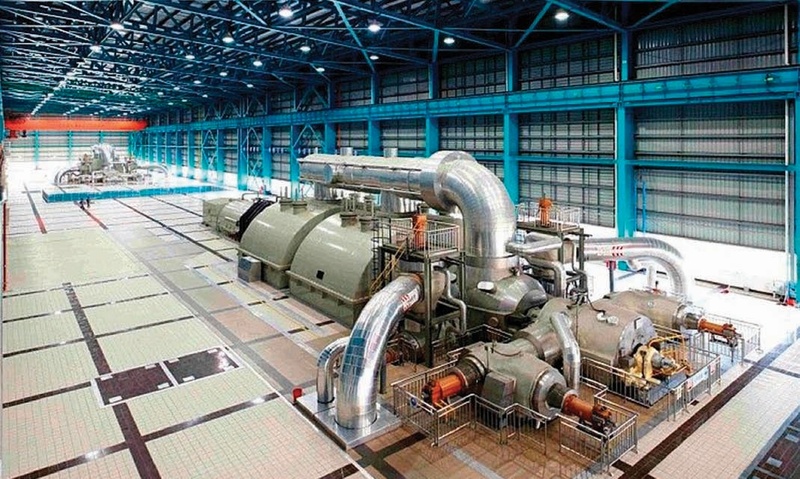 It has been a long time since a coal-fired power station was built in Australia, but 1600 clean and efficient coal-fired power ­stations are under construction or on the drawing board in 62 other countries. We have plenty of the right kind of coal in the right places where we can get electricity to market cheaply and, in so doing, save tens of thousands of businesses from going to the wall and losing precious jobs. Electricity is an essential service, and pensioners and many on lower incomes are already spending more than 10 per cent of their income to turn on the lights and heat or cool their homes. I will support any sensible plan to make electricity more affordable, but buying more shares in Snowy Hydro Ltd and adding $4.5bn to the off-balance sheet of the government is not the right thing to do to bring down ­electricity prices. Pauline Hanson is generous with her estimate of 20% being the amount of power lost in the Snowy 2.0 pumped hydro equation; 25%-30% would be closer to the mark. However, she is absolutely right when it comes to promoting High Efficiency Low Emissions coal-fired power plant as the only currently available answer to Australia’s increasing energy needs. In uranium rich Australia, nuclear is the obvious choice, but anti-nuke lunatics legislated it out of contention, years ago. Pauline Hanson’s call for new coal-fired power plants in Australia will be echoed loudly this week by the Monash Forum, a group of 30 Liberal and National MPs devoted to restoring reliable and affordable power, to all Australians. STT hears that the Monash Forum is about to launch a series of sustained attacks on subsidised wind and solar. Starting with a broadside about Australia’s hidden carbon tax. Referred to as the ‘shortfall penalty‘, it’s the tax that dare not speak its name. It is, however, a Federal power tax on all Australian electricity consumers, the effect of which is costing households and businesses more than $3 billion a year. STT hears that the Monash Forum is about to attack the hidden Federal power tax, thereby freeing power consumers of an unnecessary annual impost, at a time when families and industry are begging for mercy. H-E-L-E: a power source in its very own right. I agree 100% with Pauline on this topic. From the article: ” We have an immediate need for new baseload power and there is no viable alternative to a coal-fired power station.” Sure there is a viable alternative. Nuclear. Specifically one of the modern types of Molten Salt Reactor, which would cost about the same as a CCGT (Combined Cycle Gas Turbine), usually considered the most economical of the fossil fuel plants. The fact that ” anti-nuke lunatics legislated it out of contention” does not mean that the legislation can’t be changed. What, does the ghost of the ridiculous fraud Helen Caldecott control the minds of everyone in Australia? A serious search will turn up two or three other groups with viable plans for variations of the Molten Salt Reactor. Read “Super Fuel: Thorium, the Green Energy Source for the Future” by Richard Martin for a fascinating history of nuclear power including the wild path to the development and construction of the world’s first MSR (molten salt reactor). A few facts: Molten Salt Reactors cannot explode or melt down. They are inexpensive to build compared with pressurized water reactors, and are much safer. They are so safe that they are “walk away safe”. They use a process that makes it impossible for weapons grade material to be extracted from them. They do not produce meaningful amounts of waste, and produce no high level waste. They can use present stockpiles of “Nuclear Waste” as fuel, as well as extant stockpiles of plutonium, solving the storage problems. What the world needs is some leadership. Australia should solve its baseload needs with MSR carbon free power, and lead the way to a clean future with abundant power. No more squabbling between coal and wind/solar. That is like staging a match between technological dinosaurs – so the winner can spend a bunch of money doing something stupid – no matter who wins..
Turnbull never has, and never will be intelligent or articulate. The loonie Liberals, (who I used to vote for), have totally lost the plot re good governance. The followers of President Turdball are guaranteeing election defeat for their party. How can anybody honestly say that Snowy 2.0 is an answer to our power problems is beyond belief. I think that the real problem is that they aren’t willing to admit that they stuffed up the energy generation with the RET. So, as in the case of past mistakes by Governments, throw more money at it. I have never seen a problem fixed by throwing more money in a black hole. The issue that has to be addressed is the unreliables in the system. They cost too much money AND can’t guarantee supply. One then has to ask the question, why would anyone promote the unreliable industry when they cannot guarantee supply? The planning process is underway in Cumbria, UK for the first deep coal mine in 30 years. A little confusing as it is being proposed around 5 miles from the Sellafield Nuclear Processing facility, near where a new nuclear power facility, Moorside, is also being proposed by the company NuGen. Once Turdbull moves from his comfort zone of getting taxpayers to fund his life style and hide his money in tax havens the fool shows himself up for what he is, a clueless buffoon. Yep! Snowy 2.0. A net user of power! Not very smart. Bring on a HELE or two!